Benmore Hydro Station and stuff about Merino Rams. 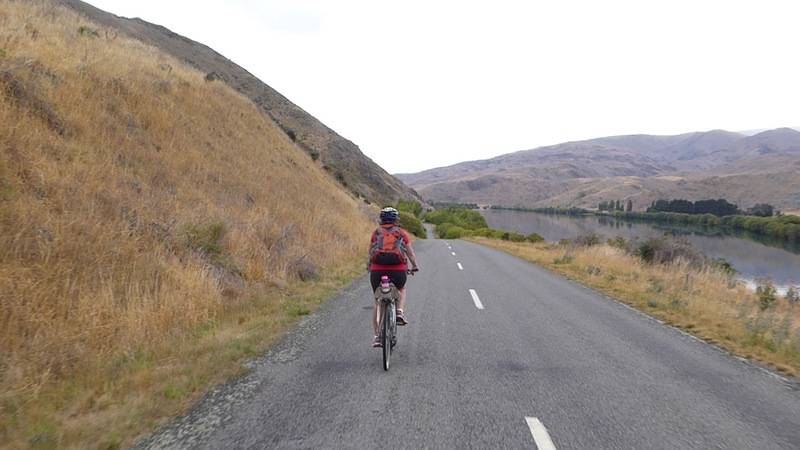 Today we headed off to see the Benmore hydro dam and then a pleasant ride that skirts round the Aviemore Lake all the way to the Waitaki hydro dam. The area is infested with an Australian Wallaby ( red necked ) and many roadkills assailed the nostrils. 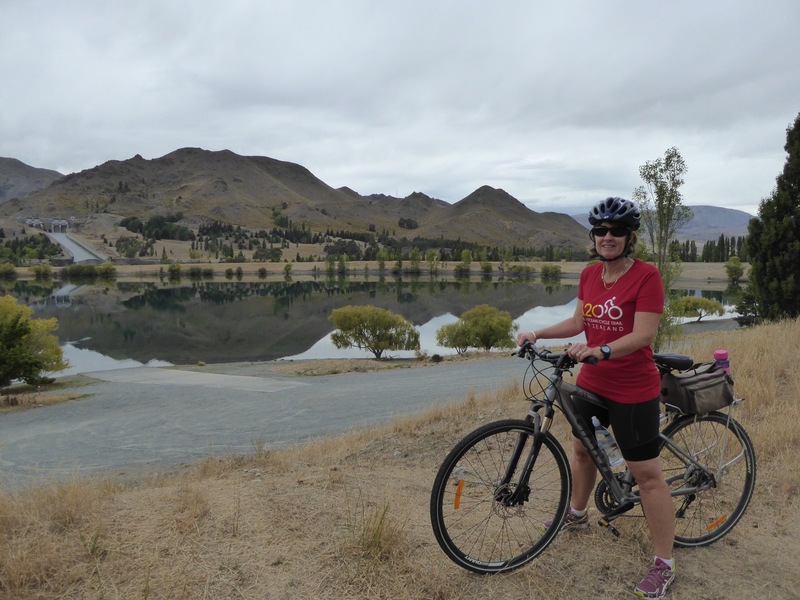 Barb nearly fell off her bike when she saw her first one – shock and surprise to spot kin. 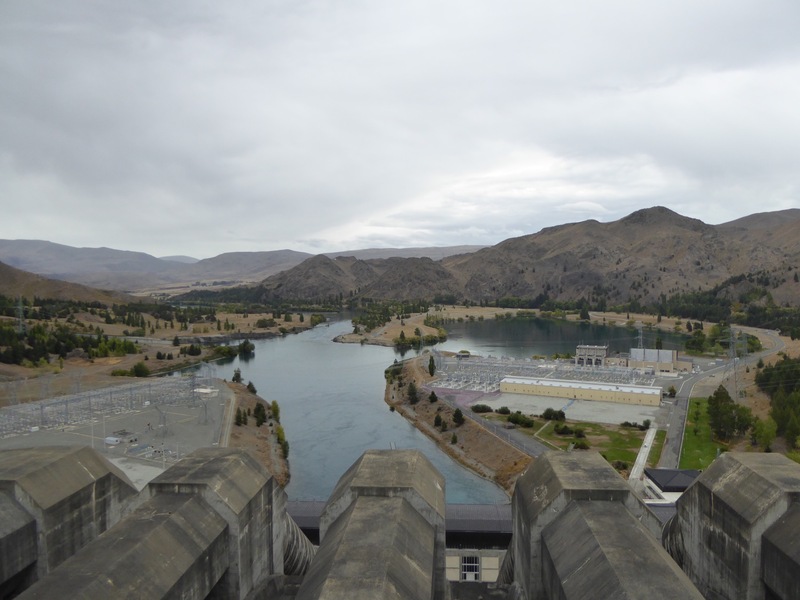 Has been an interesting hydro ride – this Waitaki and Tekapo basin system has eight dams and holds 50% of nz’s hydroelectric storage . It runs through the “great alpine fault ” which experts predicts has a 65% chance of rupturing within the next 50 years and might cause some significant problems. Bags not be here on that day. Came across this small group of merino Rams in a small but well watered paddock in this otherwise drought desert .They are clearly being rested ahead of the significant job of work ahead . They have a big job of impregnating large numbers of ewes as we get into autumn. Sheep are polyestrous – they respond to changing day length and in the autumn they begin to estrus cycle every 17 days until pregnant. 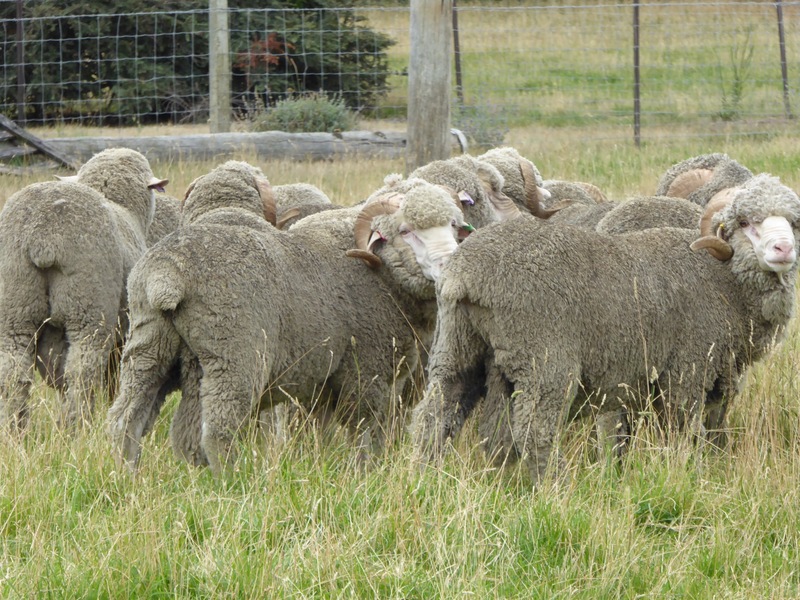 Note how well hung these boys are – an interesting fact that testicle size and sperm production are important to sheep breeders – the bigger the better – big means anything over 40 cm circumference. 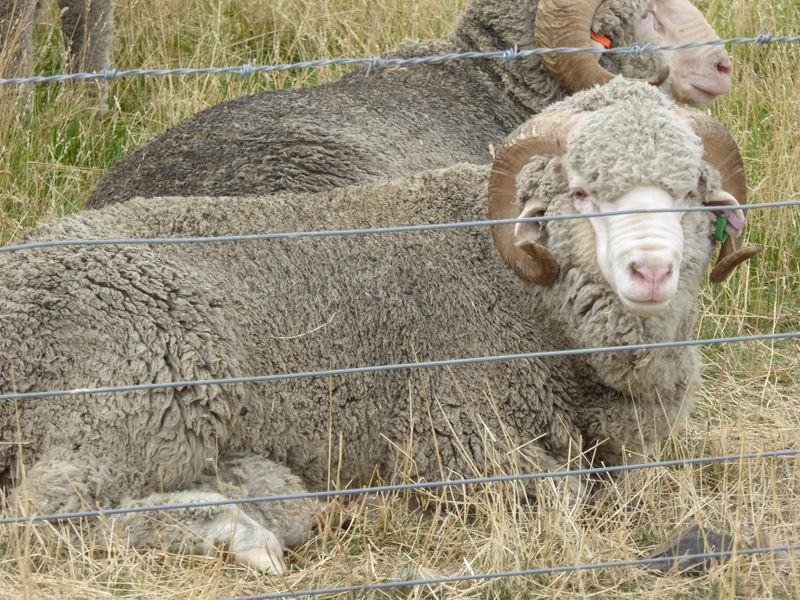 One thing for sure – if I was able to get a photo of this select group of Rams in another 3 months they would likely look emaciated – totally overworked and underweight. Hard being a male.I wonder if when the Rams are culled back from the ewes after job done – any ram that looks in too good a nick is destined for dog tucker – probably one of the homosexuals! Wonder if the other Rams are homophobic ? 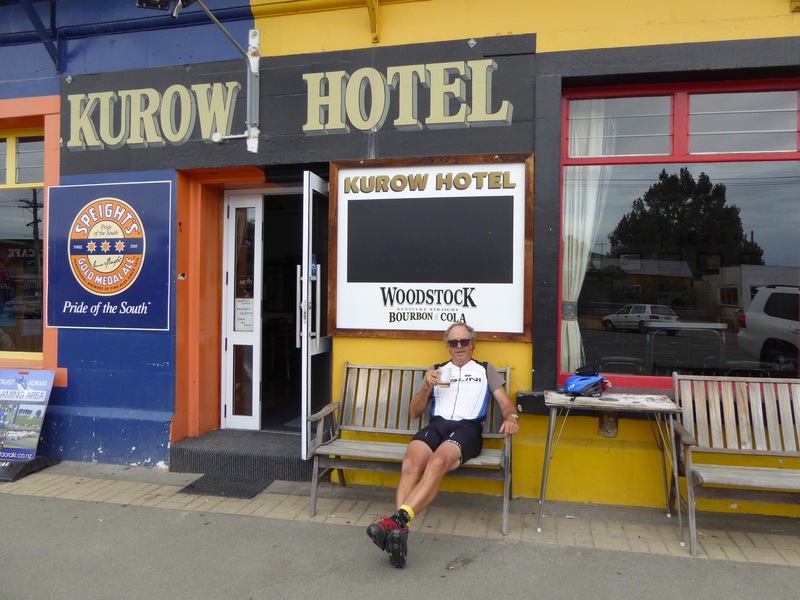 Had a Speights beer at Kurow at the end of the ride.